I hope you all enjoyed your New Years celebrations whatever you got up to. It always makes me a little nostalgic at the end of a year, thinking of all the good times I've had over the past 12 months and about how much things have changed in that time, but it's always usually for the best and I'm optimistic that 2013 will be yet another goodun'. This year I've made an executive decision to ditch the long list of unrealistic resolutions and instead focus on a select few that I'm actually likely to achieve and that I may even enjoy doing, namely to be more organised - especially when it comes to cooking meals (pasta 'n' sauce does not count) and writing blog posts - to move into a new flat and to go to more gigs. Has anyone else made resolutions this year? Love the wolf tee, I have so many! can't believe its Primark! collars + printed tees = LOVE. 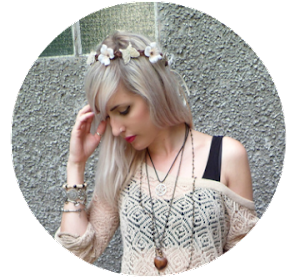 lovely layering<3 love the wolf tee!